Discover more than 150 academic programs at CU Boulder. Learn more about CU Boulder's bachelor's, master's and doctoral degrees and professions. 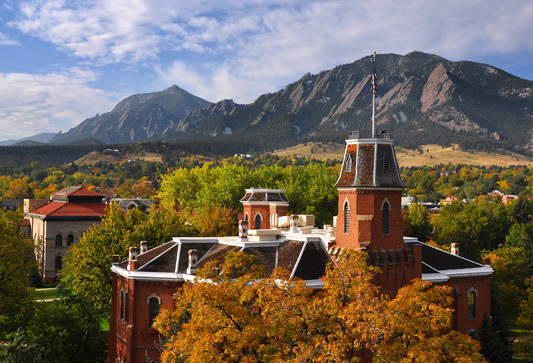 The 2019–20 University of Colorado Boulder Catalog contains a summary of campus offerings, policies and requirements; descriptions of colleges, schools and departments; and degree requirements, course descriptions and faculty listings as of March 2019. Students should refer to the degree, major and certification requirements listed at the time they formally enter a program. For more information, consult the appropriate dean's office. Because the catalog is compiled in advance of the academic year it covers, changes may occur. For up-to-date information, consult departmental advisors, check departmental bulletin boards, visit MyCUInfo and review registration materials distributed each semester. All catalog information is subject to change without notice or obligation. To view previous years' catalogs, visit the catalog archive. Search the catalog for courses and degree programs.